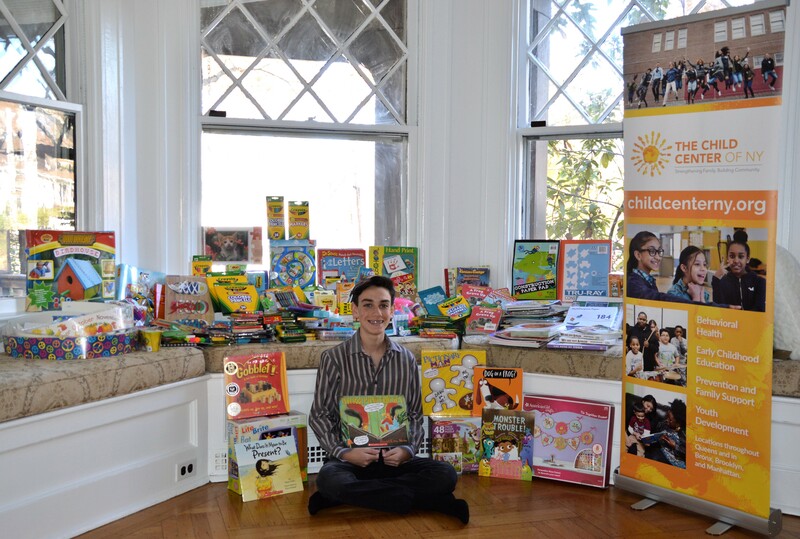 When I sat down to decide what my mitzvah project would be, I was inspired by my family. So many people in my family have spent their lives helping children, and I realized I wanted my mitzvah project to do that too. My mom is, and has been, a kindergarten teacher for more than 20 years. For as long as I can remember, I’ve heard her talk about her classes and students every day. It’s clear that she loves her students and helping them to grow and learn. Now that I am older, I enjoy helping her set up her classroom, and I visit her class to meet the kids. 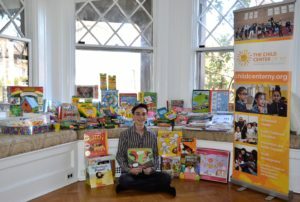 My dad works for The Child Center of NY, an agency that helps some of the most underprivileged children in New York City. Many of the kids The Child Center helps can’t afford things that most of us take for granted, like crayons and books. It’s hard enough to do well in school when you have all the basics; imagine trying to do your best on assignments and projects when you don’t even have the tools to do them. For my mitzvah project, I collected new books, toys, and art and school supplies (e.g., crayons, markers, pencils, glue, children’s scissors, etc.) for students of all ages — from newborn to 18 years old — and placed a donation box in the lobby of the temple at my Bar Mitzvah service and at the kids’ party so that people could make monetary donations. I also donated a portion of the gifts I received to The Child Center because I really want to help them. My temple community and friends and family really came out in full force to support my project, and I am happy to report that together, we were able to provide students from several Child Center programs with the supplies they need to succeed. 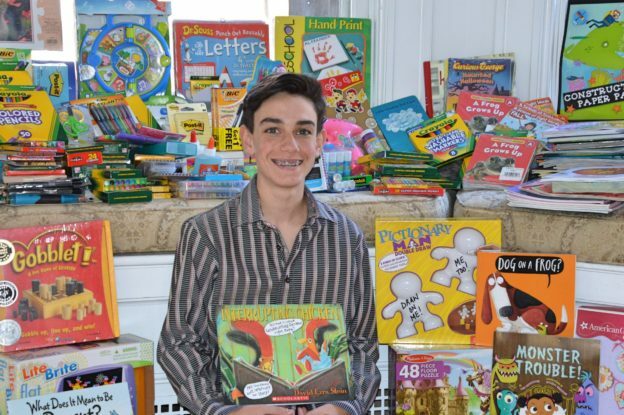 My Bar Mitzvah was meaningful to me in so many ways, and this mitzvah project was an integral part of that. It gave me the opportunity to begin my own lifelong commitment to helping children get the best start possible in life. I know that’s what The Child Center of NY does every day, and I am thankful that I was able to contribute directly to their work, and to the kids who just need a little help to reach their full potential. Anyone interested in making their own unique contribution to The Child Center of NY can contact Gaby Infante at fundraising@childcenterny.org; donations can be made by clicking on the “Donate Now” tab on this page.